A few weeks ago, I shared that I’m moving far, far away. While we could have taken the easy route and flown up to our new home, we decided a road trip would be more fun. Something tells me our journey up to Alaska will be just as adventurous as the final destination. We’re packing up the car and hitting the road, but before we depart, I’m strategizing how we’ll stay well-fed along the way. Most people think eating on the road means you rely on fast food and greasy spoon diners. And while I’ll be sure to sneak in one more visit to In ‘n’ Out before we venture past the California border, I won’t be living off hamburgers the entire time. I’m packing up some real food snacks for our road trip and figured you might like to hear what I’m bringing along. This isn’t my first extended road trip, but this will be the longest and most remote (and it includes more than 3 days on a ferry without access to a fridge), so it presents a bit of a challenge. If you’re planning any road trips this summer, these tips should come in super handy. If you’ll be in remote areas like me, stopping at a fast food joint isn’t an option, so be sure to think about what you might like to eat. Even if you’re not in a remote area, there’s no reason to subject yourself to a fast food hangover. I usually stock up on some non-perishables before a trip, so I’m never left hungry. When you’re on the road, hunger quickly turns into hanger and no one likes a hangry passenger (or driver for that matter). I always have a hearty breakfast to keep me even keel. I like to eat local whenever possible, so when planning a trip, I check farmers’ market listings online. If there happens to be one, I buy fruits, veggies, and pre-made items from local artisans. It’s a great way to get a taste of the area, literally. If farmers’ markets aren’t an option or are out of season, a local health food store is a good alternative. Buying small amounts of food along the way allows me to eat more fresh food and less packaged junk. Real food goes bad. Fast. Unless a food is dried, smoked, or fermented, chances are it will spoil quickly. With a cooler, all you need is access to ice, which any gas station or convenience store can provide. Some coolers are good enough that they’ll keep ice frozen for days. Invest in this and you’ll never have to worry about rotten food again. If we’re camping, I can cook just about anything with my trusty cast iron skillet and 70’s era Coleman camping stove. Instant oatmeal and freeze dried meals are for backpacking. Car camping means you can continue to eat like a king. It’s not always possible to eat clean, fresh food on the road. Do the best with what’s available. If I’m eating breakfast at a diner, I’ll order eggs over-easy or hard boiled, since scrambled eggs are often made with powdered eggs or with the addition of pancake batter (for fluffiness). If I have to stop at a gas station, I’ll buy some roasted nuts and a piece of fruit. I always check ingredients labels on packaged items I to avoid food additives. For me, it’s not about being perfect, it’s about keeping my body happy so I have the energy to enjoy the trip. If a town is known for its chocolate ice cream, you can bet I’ll order it. *keep on ice or consume during your first day or so on the road! We’re counting down the days to departure and I’ll be keeping you updated right here on the blog. I’m not sure how much writing I’ll fit in, but at the very least, I’ll share some photos of the adventure with you! I have some snacks planned already, but I can always use more ideas. 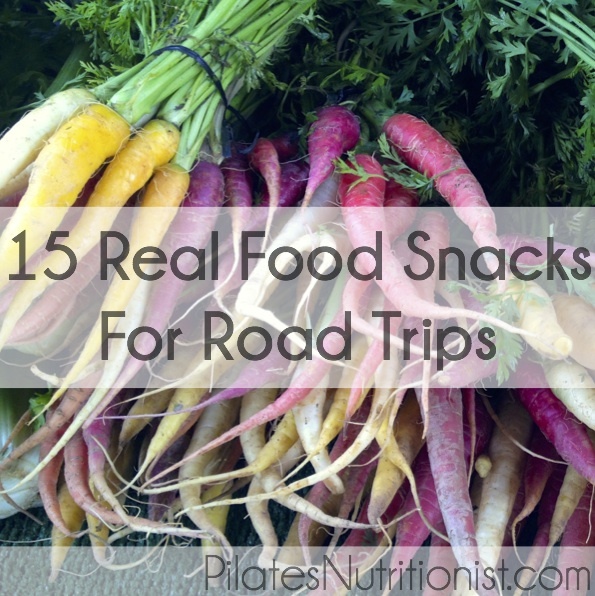 So in the comments below, tell me about your favorite real food snacks for road trips! I’m like you and ALWAYS bring healthy snacks with me wherever I go (I’m like a toddler). These are great tips. 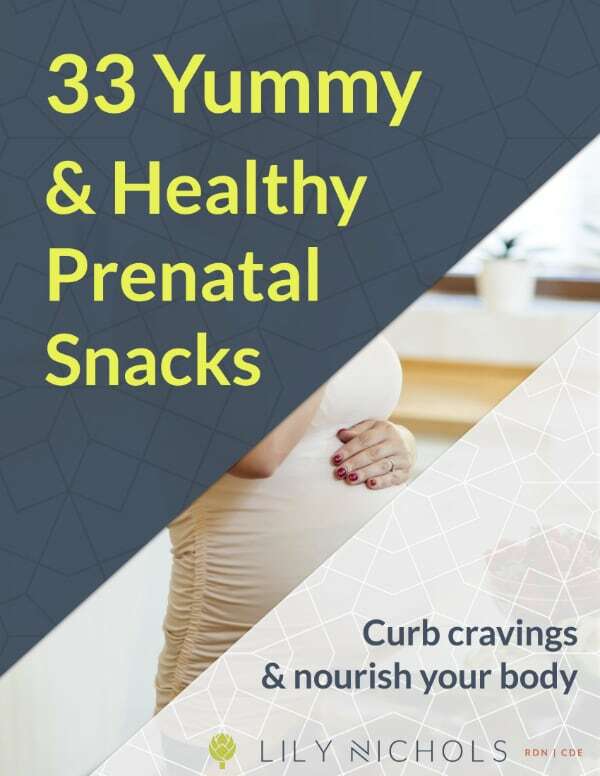 I can’t wait to check out those homemade KIND bars. Thanks so much for sharing, Lily! 1) Kotlety – beef/potato/vegetable patties that are easy to hold in one hand and taste good warm or cold. These take a bit of time to make and need to be kept refrigerated, but my kids love them. 2) Sweet Potato Chips – I make my own version at home with just salt and pepper and take them along as snacks. 3) Popcorn – no need to refrigerate and my kids could eat it all day long! Thanks again for the great tips (can’t wait to try the KIND bars recipe)! Hope you have the best time ever on your fabulous trip to Alaska! Lana, I’ve never heard of kotlety, but those sound amazing! I’m also a sucker for homemade sweet potato chips or fries. Yay for Alaska, for road trips, and for yummy healthy snacks to eat along the way. Thanks so much for this post. I never knew that diner eggs could have those additives in them. I just figured it could be the oils used to cook them that might have made me not feel well. That was such a good tip! Do you have any brands of coolers that you recommend? There are so many out there but finding one that works well is often hit and miss. Jessica, yes the scrambled egg thing is surprising. For those of us who eat gluten-free, it’s really tough when eating out. And you’re right, rancid cooking oil will also upset your stomach. We just invested in this brand of cooler and while testing it out at home, it held ice for more than 4 days. Your post is so perfectly timed — I’m leaving on a road trip in 3 weeks! Thanks for the great tips. Also, what’s your recipe for grain-free granola?! Good to hear, Audrey! I’ll put up the recipe for grain-free granola in a future post. I made your KIND bars the other day, they’re delicious! I’m hooked 🙂 Safe travels! Those are so, so yummy! Enjoy them. Thanks for the well wishes, Elise. These are wonderful suggestions. Just saw your link to making your own KIND bars, which is awesome! Thanks. I love the tips and tricks to help keep things healthy and nourishing! Thanks Lyn! Yeah homemade KIND bars are super tasty. I modify that recipe now since I can’t eat almonds and it always comes out great.